I received some Leonor Greyl products to review. I was excited to receive them because I am currently enamored of all things French, and my bathroom is French. I was hoping they were also good products, ha! 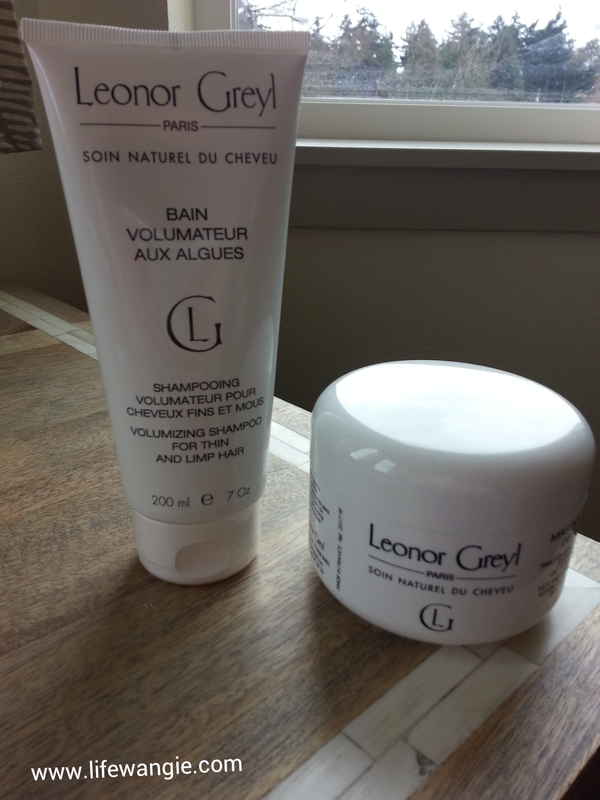 Leonor Greyl sent me some shampoo and a hair mask. I told them I had straight, fine hair, so they sent me Bain Volumatuer aux Algues: "Volumizing shampoo with detangling properties" that is meant for fine hair. The mask they sent was Masque Fleurs de Jasmin: "Conditioner for Thin, Dry Hair and More". They also sent me a little scoop to use to scoop out the mask, which I thought was funny until I realized how thick it was! 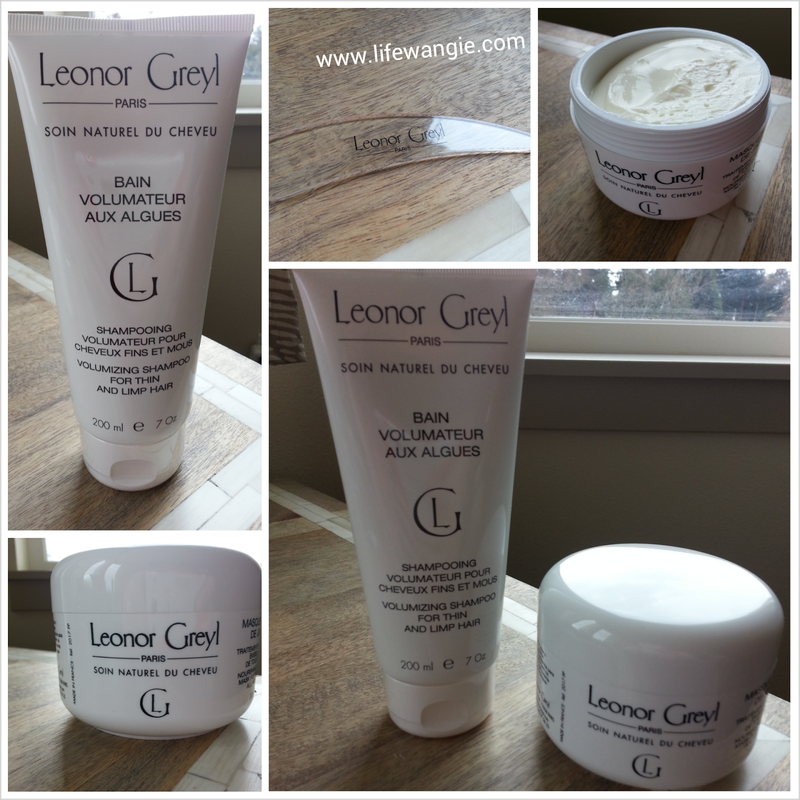 I didn't use the scoop, but since Leonor Greyl is also a salon product, I can see where you might want to use the scoop if you were using this on clients. I tried out the shampoo and the mask in the shower, following all of the instructions. The mask says to leave it on for ten minutes, and to comb it through my hair for maximum coverage, so I did. I had never thought to comb a mask through my hair before! It was a great suggestion. My hair came out great! The biggest problem I have with hair products, especially conditioners and masks, is if they weigh down your hair. But after using these, even without styling, I have volume and bounce. My only complaint is that the mask has kind of an odd fragrance. It's not stinky or anything, but it's kind of perfumy in a classic or old lady way, rather than the organic perfumes I have gotten used to in most masks that are out there nowadays. When you wear it in the shower for ten minutes, it's nicer if it has a more "aromatherapy" type of a smell. I know a lot of people are sensitive to fragrance, but I am not; I just didn't particularly like this fragrance. But since it worked so well and the fragrance rinsed out with the product, I can overlook the fragrance and still give this product a good review!